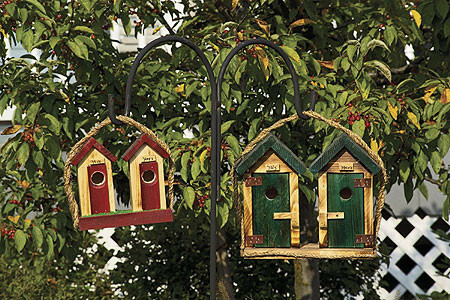 Our Amish Hand-crafted His/Hers Outhouse Birdhouses are the perfect addition to any lawn or garden. They are made of pine and have a beautiful wood burning finish. Choose from three colors: Red, Green or Blue with a natural finish. Lift out back for easy cleaning. Rope included for hanging. -Small: 4.5" x 8" x 7.5"
-Large:5.5" x 12" x 11"